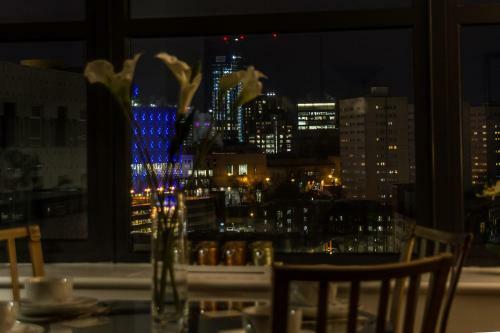 Staycity Newhall Square is a large four star aparthotel in Birmingham city centre. Choose between studios flats, one bedroom apartments or two bedroom apartments, all well-presented with clean, modern decor. Each apartment has a fully equipped fitted kitchen which includes an electric oven, microwave and fridge freezer. Guests can enjoy free toiletries and each of the apartments has a shower. There is air conditioning throughout this modern accommodation from a leading serviced apartment operator and there are lifts to all floors. Other facilities here include 24 hour reception, 24 hour check in, a fitness centre/gym, and an on site cafe. 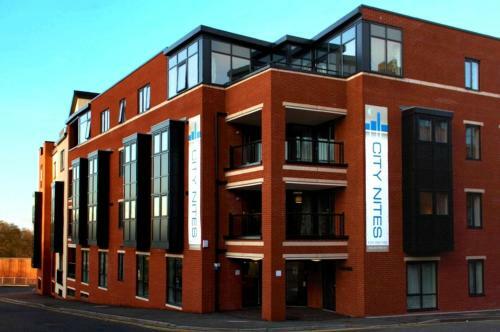 Staycity Aparthotel Newhall Square provides free wifi and there's limited car parking available (reservation needed) at a cost of £12 per day. Charming three bedroom property in St Paul's Square, B3, just a hundred yards from St Paul's Church. The flat can sleep up to eight people and has free onsite private parking and free wireless internet. It has a well equipped open plan kitchen and a bathroom with a tub and shower. 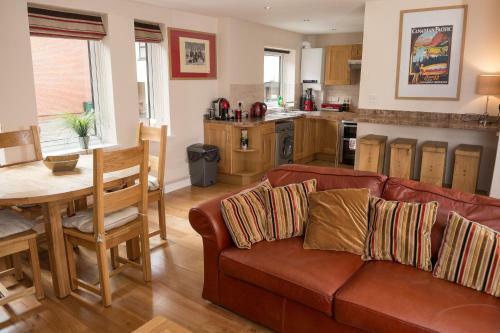 These popular, stylish apartments are just a short walk from the National Indoor Arena (150 yards) and also close to the International Convention Centre. They have stylish, contemporary interior design and fully equipped kitchens.